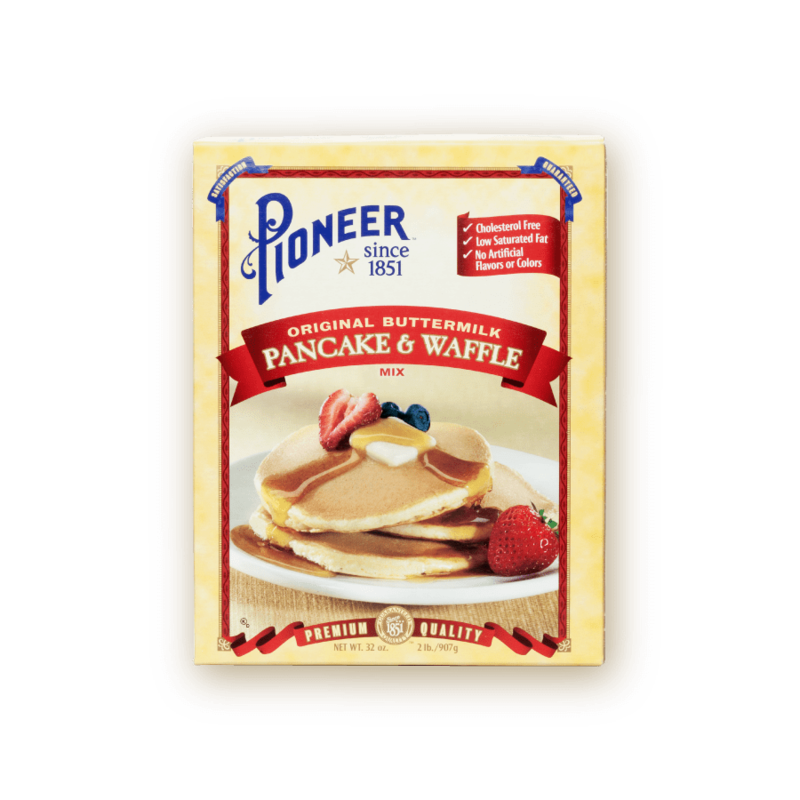 Enjoy the unmistakably sweet flavor of buttermilk pancakes while treating yourself to a cholesterol free, low saturated fat option that is also free from artificial flavors and colors. 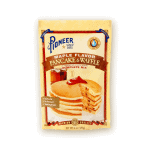 Pioneer Original Buttermilk Pancake Mix is staple for many breakfast enthusiasts who demand nothing but the best. 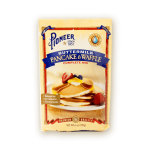 Treat your family and friends to a batch of our Original Buttermilk Pancakes and enjoy smiles, laughs and happy bellies full of real, premium ingredients. BLEND well (somewhat lumpy batter makes light, fluffy pancakes). COOK about 1 1/2 minutes on each side. TURN when bubbles break and edges start to dry (turn pancake only once). NOTE: For thicker pancakes, use a little less milk; for thinner pancakes, use a little more milk. PREHEAT lightly oiled waffle iron. COMBINE egg, milk, oil and Original Pancake Mix; batter will be slightly lumpy. BAKE in prepared waffle iron. PALM OIL, BAKING SODA, MONOCALCIUM PHOSPHATE, SODIUM ALUMINUM PHOSPHATE, CORN SYRUP SOLIDS, SODIUM CASEINATE, MONO & DIGLYCERIDES.